Happy New Year! 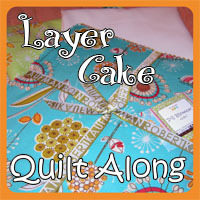 Best wishes for some productive time quilting this year. 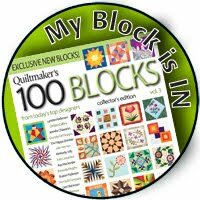 My traditional New Year's activity is spending quality online time with the Sloanie group of quilters where we have a luau together, sharing photos of projects picked to work on over the evening as well as photos to keep us inspired (coffee, drinks, cabana boys. . . wink!) 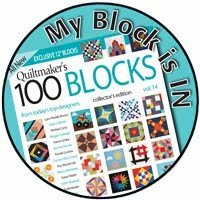 I pulled out these Little Wishes blocks designed by Pat Sloan for a challenge last year(um, make that 2015!). They never became anything at the time. 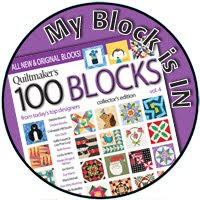 Over the year I had made a few more units to make more blocks but never got around to it until New Year's. I really like that this block when set side by side creates another row of stars with a four patch inside. 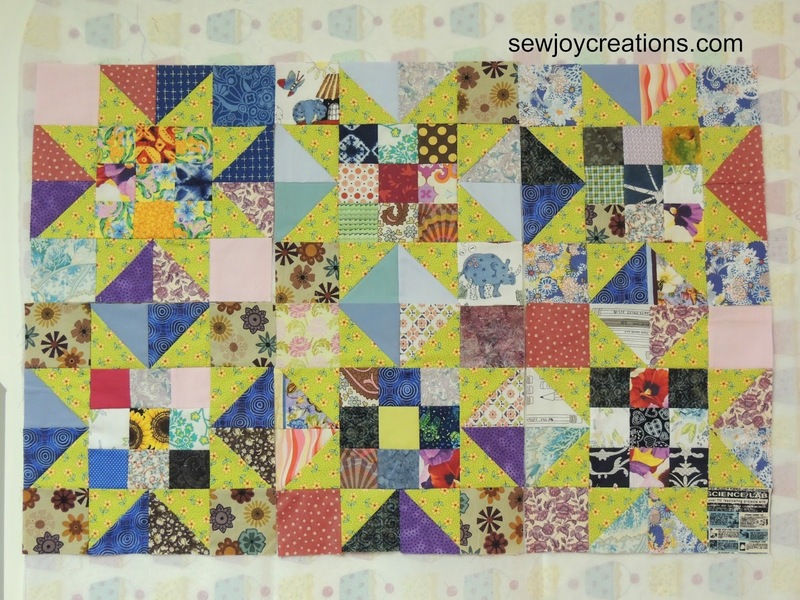 Unfortunately most of my scraps are dark and this feature really gets lost in my layout. I went back to my cupboard and found these bright pinwheel blocks that were leftover from another project from several years ago too. 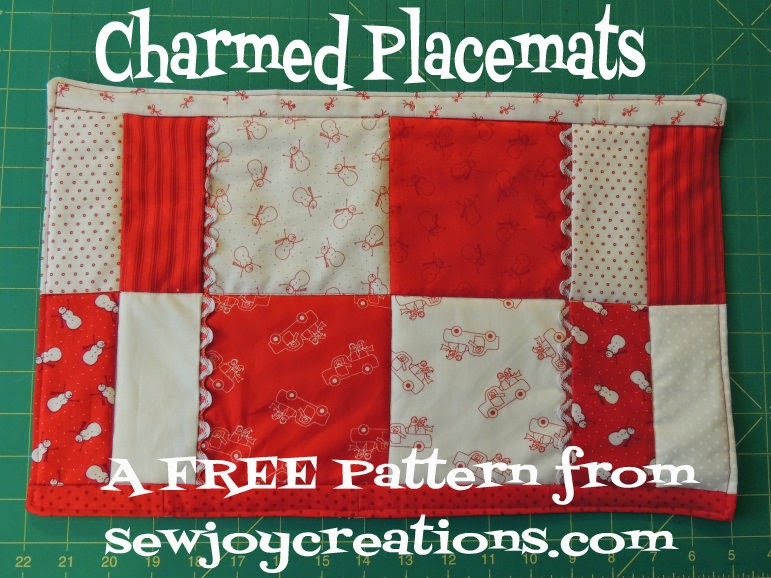 I know I used some to make one side of a quilt for my son a few years back, but I still had these ones. 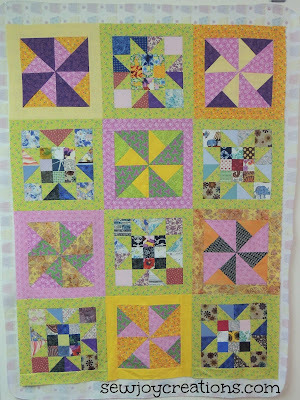 I decided to border the Little Wishes blocks I had done and set them with the pinwheels to get it done! My family thinks it's pretty bright ;) I plan to donate this one either through my local guild or somewhere else local. Donating a quilt (or more) has been on my list of things I want to do for a couple of years - now all I have to do is quilt it! I do try to work on Pat Sloan inspired projects over New Year's as the luau is with a group of friends brought together by Pat's work. And also because a lot of my UFOs are based on her work (LOL). 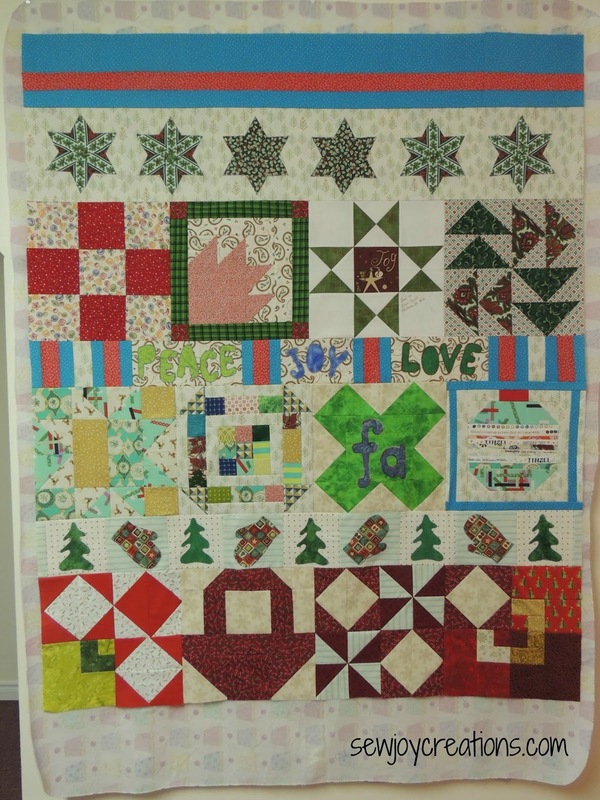 This year I'm going to make a second Season of Grace quilt which was a joint project between Pat Sloan and Emilie Richards several years ago now. I made my first one using up a lot of my husband's granny's stash which I inherited when she passed. 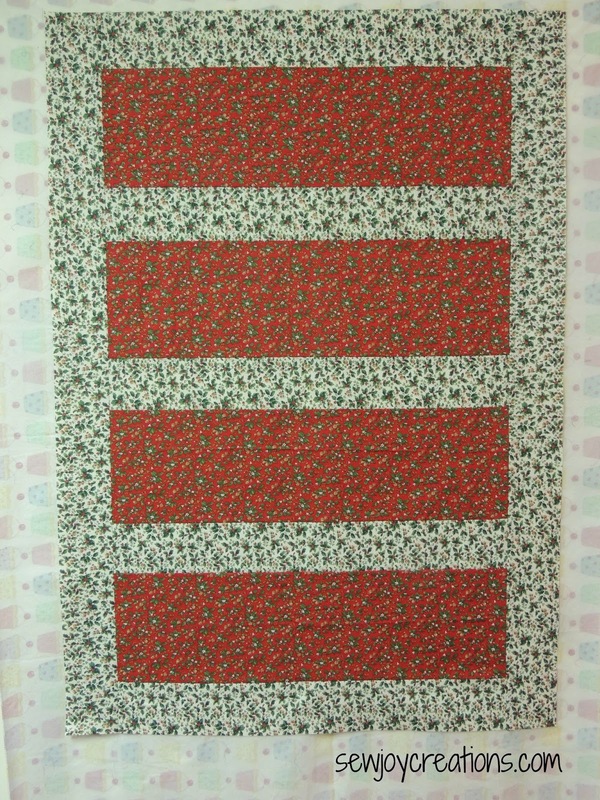 Several years ago my mom gave me her Christmas stash and I set it aside knowing I wanted to make a second quilt with it. Here's a great flashback post showing the progress on the first Season of Grace quilt. 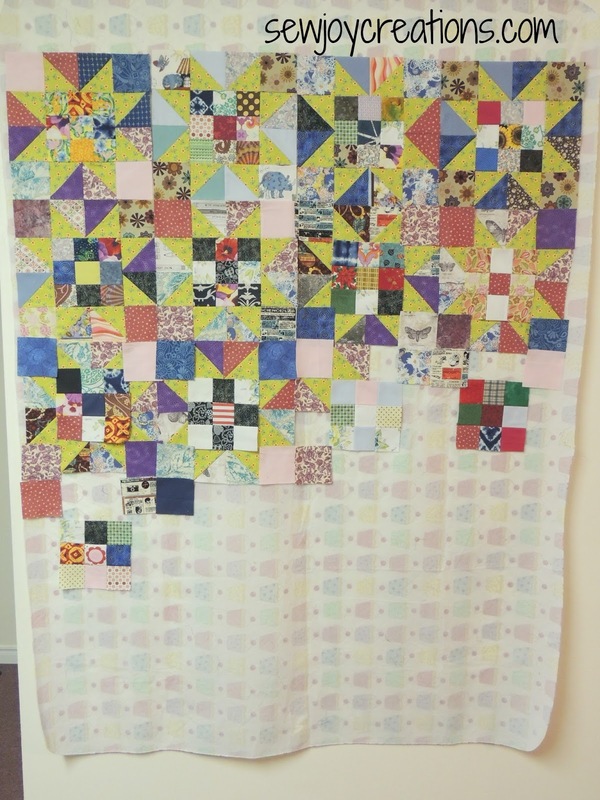 I had my son get out the fabrics and sort them so I could figure out which ones I had enough of to make the quilt top itself. New Year's Eve eve day I cut out the fabrics and put them together so technically, this top was finished last year ;) I'm going to cut out all the backs for the stockings next and plan to quilt the top long before Christmas so I have time to put the buttons on - which I may even try doing with a sewing machine! 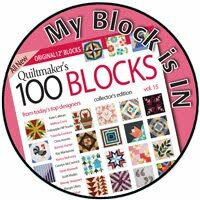 I also got caught up before midnight on the 150 Canadian Women quilt blocks being put out by Next Step Quilt Designs. 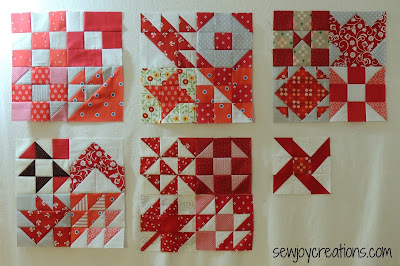 My plan is to sew them into groups of 4 and set them with thirteen 12 inch Maple Leaf blocks. My sister gifted me with some of her stash at Christmas which is good because I have never really "stocked" red in my stash - nor whites for that matter! 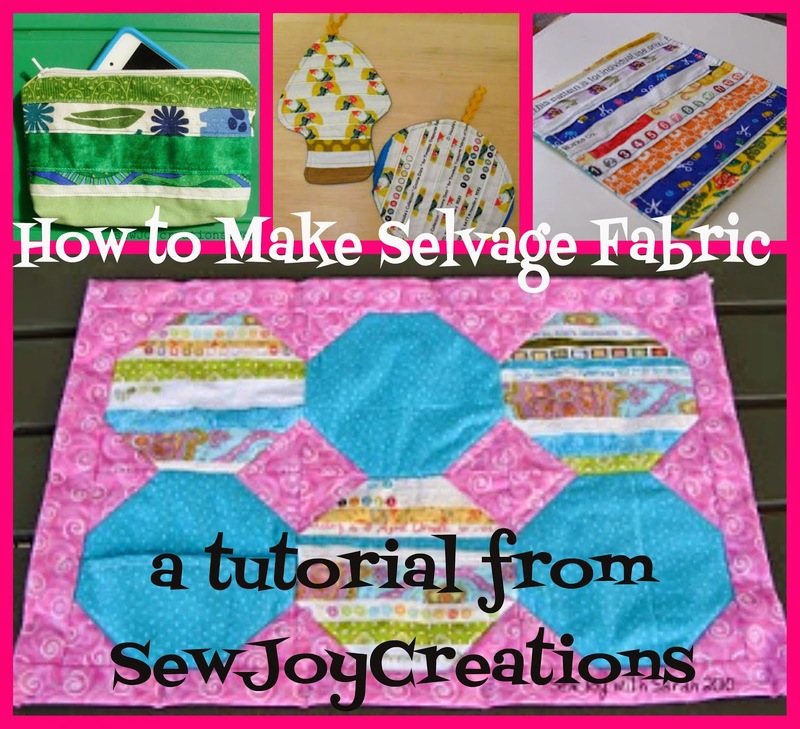 This project is fun for me on so many levels - a long project, sewing with others, patchwork (only so far! ), and history. Each block is named after a Canadian woman in history and comes with her story. Also the challenge of working in such a limited palette - even though I am stretching into burgundy and pinks - is fun. And it will be a quilt for me which also seems to be a theme for me this year! After all this catching up I slowed down. A lot. 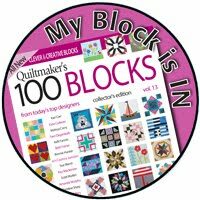 Overwhelm hit as I tried to figure out what next and to get my year of quilting planned out. 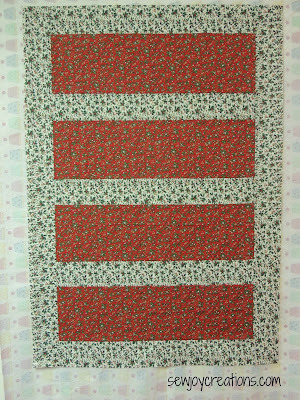 I decided there was lots of time for that and to pick a quilt that I wanted to work on first. Yup. You guessed it, another Pat Sloan challenge! 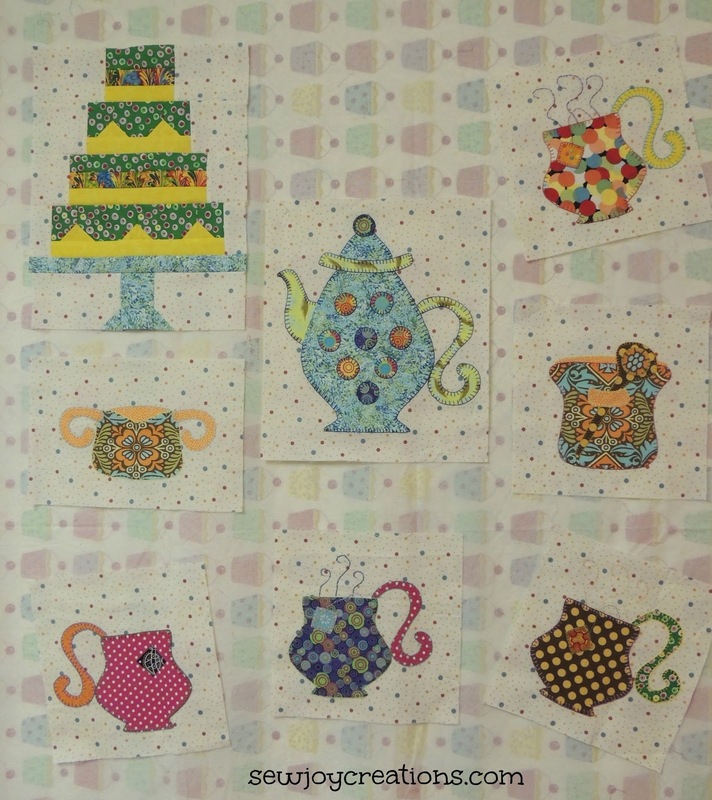 These are my blocks from the Madhatter Tea Party challenge - in 2009! I finally finished blanket stitching one of the last tea cups during the Rose Parade and then made the Snapshots quilt along Let Them Eat Cake block. Now I'm pondering some more additions. I look forward to sharing some progress with you on this one again next month. My goal is to have it up in our house for April after our birthday season is over. This holiday season I'm grateful to be a teacher with time off over the holidays! Wishing you much joy in the year ahead. Way to go putting all those ufos together Sarah! WOW! You've accomplished a lot already in this very new year! 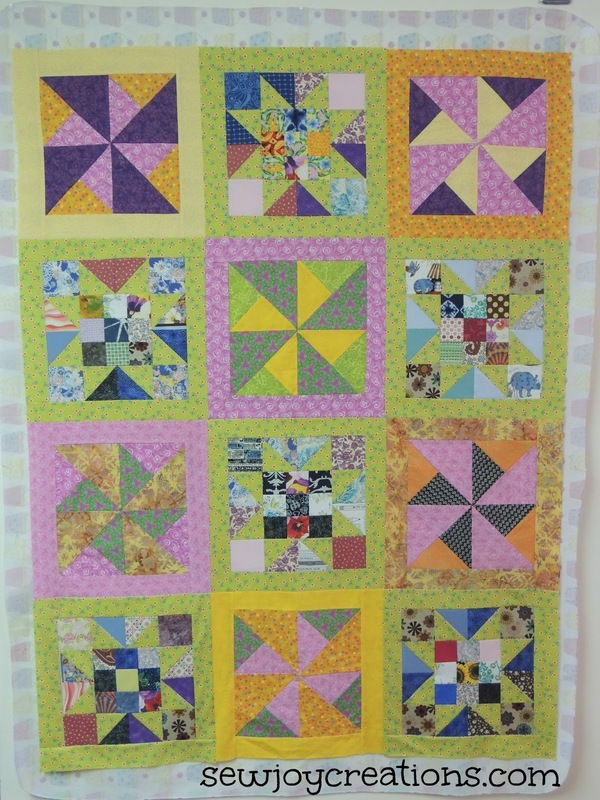 Love your Little Wishes / pinwheel quilt - it is bright, but it's going to make someone's day!